The développement program 348 “LM” is initiated and supported by the Ferrari Club Italia. Cassano,. A structure dedicated to the competition moved to Fiorano. The goal is a return to the Le Mans 24 hours and participation in selected few rounds of the new series BPR, originally a renaissance of GT racing. Michelotto course will provide complementary developments. A car “100% Italian” is put in preparation and will be entrusted to Oscar Larrauri (again) and Fabio Mancini, it is 98,997. A “jet set coincidence” will be responsible for the preparation of a second 348 GTC LM: 97553. The oil Repsol, very active in supporting the Spanish motorsport wants to run the Prince Alfonso of Bourbon Orleans-nephew King Juan Carlos. The Repsol program in endurance races is usually based around Porsche 962 C Team Brun Motorsport entrusted including Jesus Pareja and Thomas Saldaña. Alfonso d’Orleans lack of experience as a program prototype is it considered too risky, while a GT program with a 911 would be considered too common. This is Ferrari España with Juan Quintano who found the solution by connecting Carlos de Miguel, known Ferrariste then in charge of the competition at Repsol, with Club Italia. 97553 will be fully developed and followed by the Club Italia, while Spanish budget and provide drivers .. After having participated in Jarama and Dijon, the 2/348 LM GTC entrey for 24 hours of Le Mans in 1994 after having a final preparation done by Michelotto. The qualifications are promising, the 348 Italian is 22nd on the grid in 4’22”7 (of 48 starters, not bad at all!) While the Spanish realized 4’26”6 and gets the 28th time. The team of the Spanish car consists by Andres Vilarino, Alfonso D’Orleans and Thomas Saldana. After an eventful race our 348 LM # 97553 finish 11 th General and 4th class. After the mans #97553 participate in Coppa Vallelunga GT BPR finishing 12 th overall. 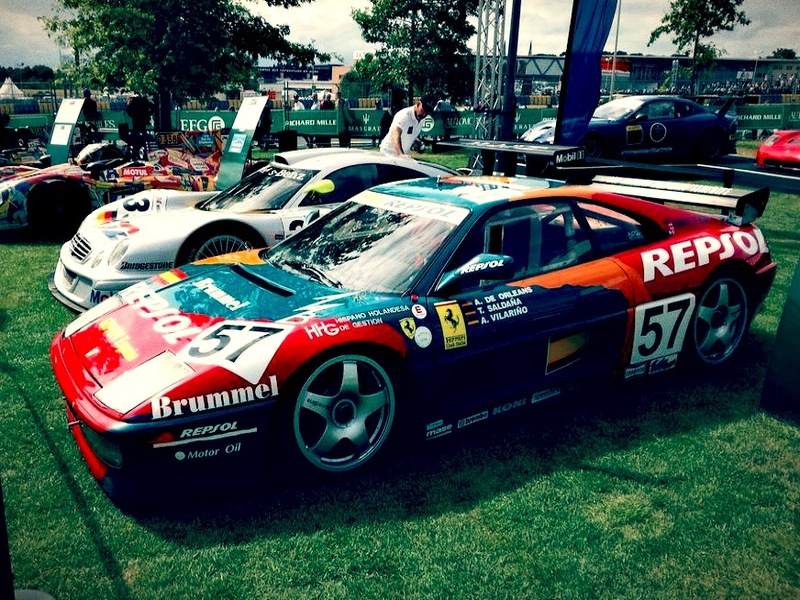 Our 348 ended its 1994 season with a 9th place during 4 hours of Spa and 6 th in GT 2 . Our car will take a beautiful Spanish retreat to finish a few years in the hands of a brand enthusiast. The car was regularly maintained and used with care by an an amator . This is an exceptional opportunity to acquire a Ferrari GT with a palmares witch have seen saw the arrival of Le Mans coming in unmolested condition season 1994.